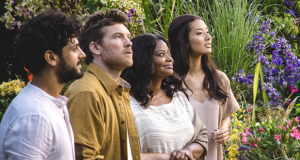 Faith-based movies have made amazing strides in recent years with a string of well-produced films: dramas that had moviegoers crying, a comedy that received plenty of laughs, and even a few thrillers that left people on the edge of their seats. But an enjoyable family action adventure full of believable computer generated effects? That category has remained empty – until now. On April 6 Gathr Films will release in theaters “Beyond The Mask,” a swashbuckling film set in the midst of the Revolutionary War that follows a villain-turned-hero who tries everything to “fix” his past identity, only to fail each time. It isn’t until he finds Christ that he discovers joy and his true identity. 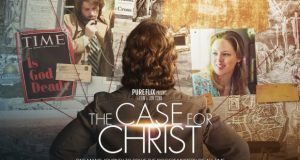 The movie breaks new ground in the faith-based category not only in genre but in its large number of impressive CG effects, which rival anything out of Hollywood. The storyline is fast-paced, the acting solid, and the 1776-era characters will entertain anyone who enjoys colonial history. (Yes, George Washington and Ben Franklin make an appearance.) It’s a fun and gripping family friendly movie that children and teens will enjoy. “We really want to be carrying that legacy forward” by producing a “doctrinally sound” movie in a different genre. “What we’re innovating is the scope,” he said. Crew members built a 150-foot section of a 1700s-era city street. They also built Franklin’s shop, as well as half of a sailing ship. The film includes 850 visual effects – a “Hollywood-scale number,” Burns said. But even though the movie has well-done effects, it doesn’t lack in story. It stars Andrew Cheney (“Seasons of Gray”), Kara Killmer (“If I Can Dream” and “Chicago Fire”) and John Rhys-Davies (“Lord of the Rings” and “Indiana Jones”). Burns’ cousin, Aaron Burns, produced it. “We live in a Facebook culture,” Chad said, “that is obsessed with identity – with every post and every Tweet. People build these elaborate masks. People want to be seen as a successful student or a successful magazine editor or a successful mother – whatever the category. 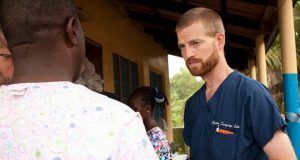 The movie is showing for only one night (April 6) and employing a cutting-edge strategy whereby moviegoers can bring it to their town if only 65 tickets are reserved. 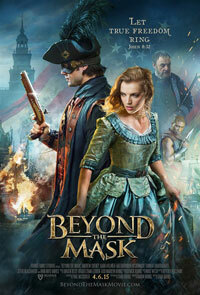 Tickets can be purchased at BeyondTheMaskMovie.com. “We’re really excited to see where it goes,” Aaron said. Michael Foust is an editor and writer, the father of three small children, and blogs about parenting at MichaelFoust.com.